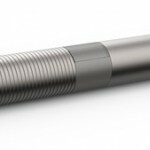 Precision Touch is a company that sells premium quality styluses and this is a new product from them called the Dart stylus. 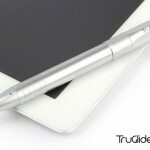 In fact the stylus is actually a project from Kickstarter which was successfully funded. As the name suggests, the physical design actually resembles a dart with a pointy tip and tail fins at the other end. In fact the tip is so pointy you might actually use it as a real dart. Okay so I’m exaggerating but the tip is one of the smallest and finest tips around measuring at just 2.1mm. 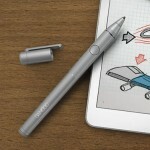 At first glance, the Dart stylus actually resembles LYNKtec’s Apex fine point stylus. 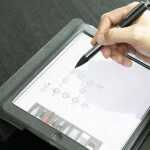 The Dart is a battery powered stylus that does not need Bluetooth to connect to your iPad device. Currently it only supports all versions of the iPad such as the iPad 1,2,3,4, iPad Air, iPad Mini and iPad Mini retina. The good thing about these type of styluses instead of the Bluetooth ones is that it will work with any app. 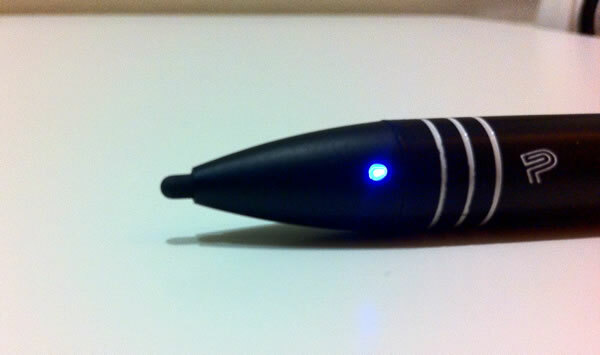 To turn on the stylus, just twist the tail fin cap and you will see a blue LED indicator to let you know that it’s activated. 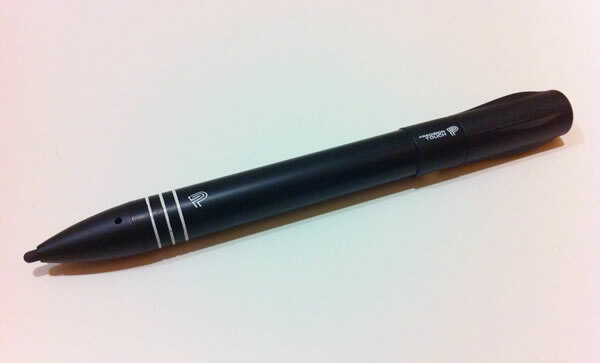 It’s also powered by a single AAAA battery and it should last about 20 hours depending on usage. 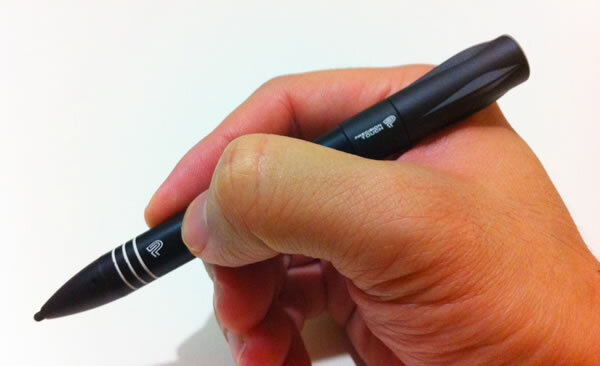 It works the same way as the LYNKtec Apex stylus where the tip uses electronic circuitry to simulate a touch. So if the stylus is off, it will not work at all. The construction of the stylus is solid made from machined brass, aluminum and ABS plastic giving it a good weight to write. 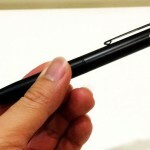 The stylus I reviewed is a cool Black Matte version which is fingerprint resistant. The tip is a hardened silicone which is actually more durable than the standard rubber nib. When used for writing on the iPad, it feels just like a regular pen. No more squishy tips or actually accidentally scratching the screen when tip wears down. It’s also pretty easy to replace the tip, just gently twist it and it will come off. I tested the Dart stylus with FiftyThree’s Paper app and it worked well registering most of my strokes while drawing or sketching. Also tested it with Bamboo Paper app where taking notes was a straightforward affair. I was able to draw really thin lines thanks to the small tip. One thing to note, the Dart stylus is similar to the LYNKtec Apex stylus where if you were to draw diagonal lines, it appears wavy when drawn slowly. As both uses the same technology this is a problem that needs to be rectified by the app’s developer apparently. Apart from drawing, sketching and taking notes with it you can also use it to unlock the iPad’s screen, type out an email with the keyboard or just tap on stuff randomly. The stylus does not register too quick taps unfortunately, so you probably shouldn’t use it to play a game like Clash Of Clans though the precision might actually help. 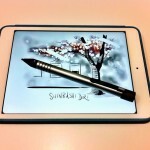 So should you get this stylus? I like the build quality of the stylus and the color. It writes well for all the apps that I have used and it’s great for students, busy executives and artists who want that extra precision. I think the obvious comparison would be with LYNKtec’s Apex stylus which is similar in all aspects except for the price and the tip. The Dart retails for $59.99 while Apex retails for $49.99. Also the tip for this will be 0.2mm finer than the LYNKtec Apex which is 2.3mm if extra precision is important to you. One more thing to note is that both styluses does not have a auto shut off feature to preserve battery but this is understandable as it’s more of a design issue. 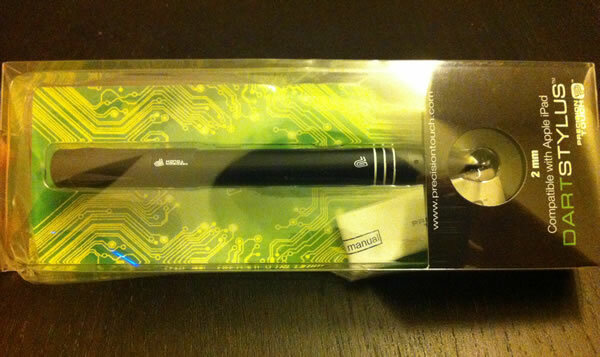 LYNKtec solved this issue with their new Rechargeable Apex stylus.